This isn't just the most advanced E-Class yet. With technologies never before offered on a production car, the 2018 Mercedes-Benz E-Class writes a new chapter in the story of driving. Athletically elegant outside, it's in the E-Class cabin where your senses come alive. Vivid screens and flowing shapes entice the eyes. And from multitouch controls to aromatherapy and a hot stone massage, wherever you touch, it caresses you back. The E-Class cabin flows with the contours of nature. Fine-tailored seats are sculpted to match the muscles in your body. Exotic yet sustainable woods sweep door-to-door, their natural glow edge-lit by 64-color LED ambience. A panoramic 12.3-inch screen unites navigation, entertainment and countless comfort features. Groundbreaking Car-to-X technology connects your E-Class to a central information resource, to send you in-car updates about driving conditions before you get to them. Your car can also report hazards, to help other drivers with Car-to-X. PRESAFE® Impulse Side is a industry first that can help prepare you for an impending side impact. By rapidly inflating the front-seat bolster, it can move you further from an intrusion and help reduce the forces of impact.This isn't just the most advanced E-Class yet. With technologies never before offered on a production car, the 2018 Mercedes-Benz E-Class writes a new chapter in the story of driving. Athletically elegant outside, it's in the E-Class cabin where your senses come alive. Vivid screens and flowing shapes entice the eyes. And from multitouch controls to aromatherapy and a hot stone massage, wherever you touch, it caresses you back. The E-Class cabin flows with the contours of nature. Fine-tailored seats are sculpted to match the muscles in your body. Exotic yet sustainable woods sweep door-to-door, their natural glow edge-lit by 64-color LED ambience. A panoramic 12.3-inch screen unites navigation, entertainment and countless comfort features. Groundbreaking Car-to-X technology connects your E-Class to a central information resource, to send you in-car updates about driving conditions before you get to them. Your car can also report hazards, to help other drivers with Car-to-X. PRESAFE® Impulse Side is a industry first that can help prepare you for an impending side impact. By rapidly inflating the front-seat bolster, it can move you further from an intrusion and help reduce the forces of impact. 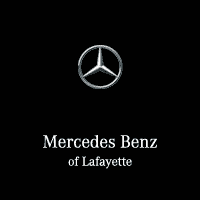 As the top dealership for luxury automobiles in Lafayette, LA, Mercedes-Benz of Lafayette offers unmatched innovation in design, comfort, and performance with our latest line of 2019 E-Class vehicles. The 2019 Mercedes-Benz E-Class line offers numerous technical innovations for enhanced comfort and performance, while you drive, and a truly unique infotainment control system that will keep even the most discerning passenger satisfied. Our Mercedes-Benz E-Class sedans, coupes, cabriolets, and wagons are built with the same Mercedes-Benz quality you’ve come to expect, and we offer a wide selection of colors and luxury amenity packages to choose from. Find out more about the latest Mercedes-Benz E-Class vehicles by contacting us today. Wherever the road leads you, more power and performance are always welcome on your drive. With the latest 2019 E-Class models, Mercedes-Benz has upgraded their already amazing automobiles with a 3-liter V6 biturbo engine that generates an extra 33 horsepower and over 15 pounds of torque. Mercedes-Benz also has upped its technology and stellar safety amenities. Now drivers can enjoy an improved driver assistance and safety system with route-based speed adaptation, more data, and map and navigation capabilities. At Mercedes-Benz of Lafayette, we value your safety. We’ll stake our reputation on our vehicles’ ability to keep you protected and moving forward. Whether you’re driving to a getaway for the weekend, taking the kids on a road trip, or making your daily commute, you’ll love every aspect of performance, comfort, and control you’ll have with our latest Mercedes-Benz E-Class models. Visit our showroom in Lafayette, LA, today for a test drive. What defines the best in life? Luxury? Comfort? Power? With Mercedes-Benz, you’ll get all of these factors in one stylishly sophisticated automobile. Mercedes-Benz has been a leading manufacturer in the car industry for over 90 years, over which time we’ve learned to incorporate new car concepts while improving on tried-and-true designs. Our 2019 Mercedes-Benz E-Class line of vehicles includes luxury sedans, coupes, cabriolets, and wagons manufactured with your tastes in mind. Whether you’re looking for a sporty cabriolet or a family sedan, we have the right make and model to meet your needs and exceed your expectations. The latest E-Class automobiles offer the driver-assist technology, safety features, and comfort amenities you want at prices you’ll love. E-Class 450 4MATIC® Wagons can come equipped with active lane-change assist technology, separate smart phone control pads, a panoramic navigation and entertainment LED screen, and easily adjustable luxury seating that can hold almost any amount of cargo or passengers. E-Class Coupes successfully combine tradition with modern amenities, including detailed leather seating, extra foot space, power windows, and exotic wood trim. These also offer large panoramic moon roofs, hexagonal chrome tipped grills, and the latest “Car-to-X” technology that lets your E-class communicate with a central hub to receive updates on road conditions and weather. A 12.3-inch screen combines navigation, entertainment, numerous comfort settings with an intuitive touchpad on the console and is fully compatible with Apple and Android devices. Combine these features with a more powerful 362 hp biturbo V6 engine and you’ll love the comfort and performance you’ll get. All of our vehicles are backed by our world-famous warranty and quality service. You’ll love your driving experience! Are you looking for the latest Mercedes-Benz sedan? You’ve come to the right place! At Mercedes-Benz of Lafayette, we offer the latest 2019 AMG® E-53 sedans with upgraded features and powerful performance. Boasting a new engine, 48-volt electrical system, and fully variable all-wheel drive, you’ll feel the power the moment you put your foot on the accelerator. Whether you’re looking for more torque, rapid shift times, or exceptional hybrid functionality, AMG® E-53 Sedans from Mercedes-Benz of Lafayette are your best choice. We’ve built a reputation throughout the State of Louisiana for providing powerful automobiles with outstanding performance. We’re happy to answer all of your questions about our sedans and offer a test drive so you can experience the thrill for yourself. At Mercedes-Benz of Lafayette, we believe exemplary customer service is just as important as the quality automobiles we sell. That’s why we offer a no-hassle, no-pressure environment for you to test drive these innovative vehicles. We carry the latest 2019 Mercedes-Benz models as well as inspected and certified pre-owned Mercedes-Benz vehicles that are guaranteed to give you an unbeatable driving experience. We also offer expert auto repairs and maintenance services for Mercedes-Benz vehicles that will ensure your time is respected and your car is roadworthy and safe to drive. We’re happy to answer all of your questions, take you for a test drive, and offer affordable financing options. Drive in luxury, comfort, and style when you drive away from Mercedes-Benz of Lafayette in Lafayette, LA, today. Drive home in style and comfort. Visit today.